What’s Happened to Yaya Toure? On May 6, 2012, Manchester City travelled to Newcastle for a crucial end-of-season game. A win would virtually guarantee City the Premier League championship; a loss or draw would put Manchester United in control of the title race. With 30 minutes to go, the score was deadlocked at 0-0. In bars across the country, United fans cheered every time the ball rolled out of bounds. Then, in the 63rd minute, City coach Roberto Mancini made a counter-intuitive substitution, replacing Samir Nasri, a crafty playmaker who at the time boasted an impressive goal-scoring record, with holding midfielder Nigel de Jong. Mancini’s tactical adjustment allowed Yaya Toure, a central midfielder, to play in a more offensive position. Toure scored eight minutes later, and added a second goal with one of the last plays of the game. City went on to seal the championship, albeit in surprisingly dramatic fashion. But here’s the thing: Yaya Toure has always operated this way. He doesn’t dominate games; he dominates periods of games. Against Newcastle, Toure spent an hour jogging around the center circle before he suddenly burst into life. The same principle applies to his career as a whole. He sometimes goes months without contributing anything to the team. But when he plays well – and eventually he will start playing well again – Toure is almost impossible to defend. Toure has recently been linked to a number of big-time European clubs, including Mancini’s Inter Milan. But City should think twice about selling him. As Toure’s agent recently pointed out, the club has a poor record in the transfer market. Moreover, Fernando and Fernandinho, City’s two other central midfielders, have proved singularly unsuited to the rigors of the Premier League. 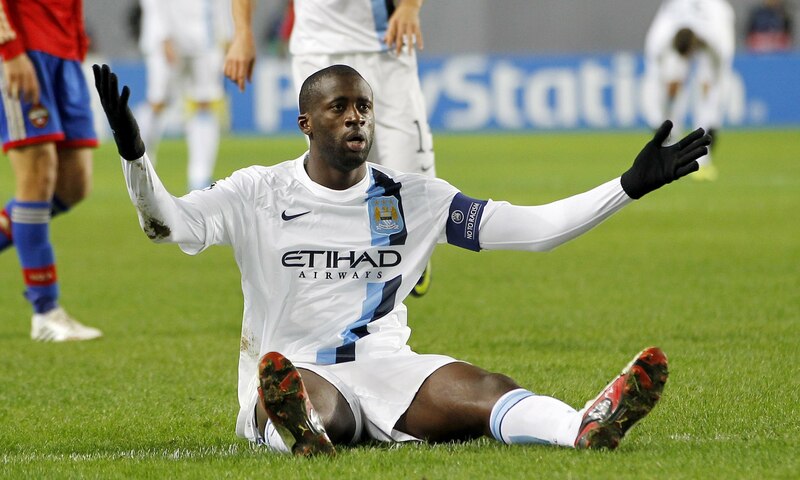 Toure’s recent struggles don’t necessarily indicate a lasting decline. On the contrary, they may simply represent a frustrating prelude to another season of goals like this one.